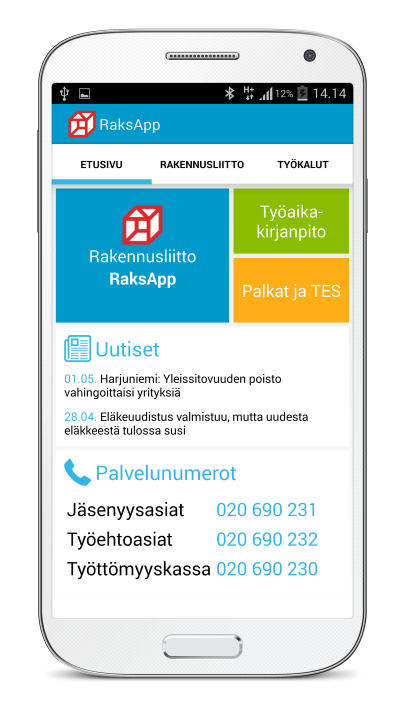 The Finnish Construction Trade Union offers you a handy tool for keeping records of your working hours as a smartphone application. The RaksApp application contains the complete versions of the collective agreements of our contract branches. It is a great help to all members of our union, regardless of their age of profession.